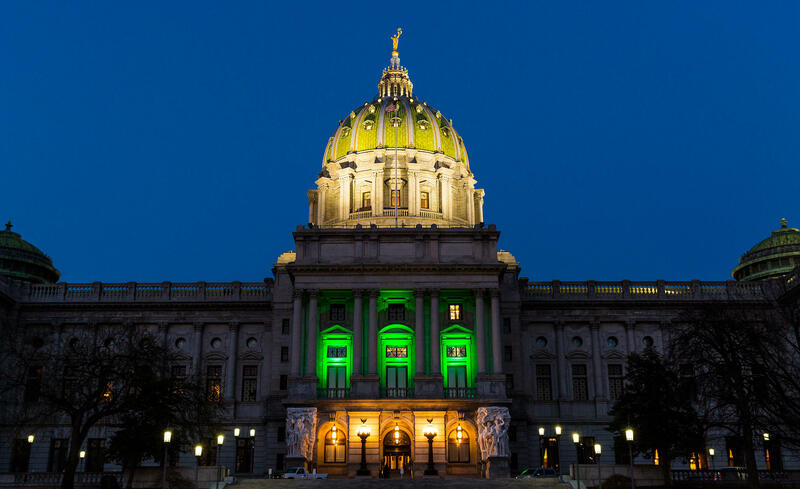 The Capitol building in Harrisburg is lit green for the passage of Pennsylvania's medical marijuana program. A licensed grower and processor of medical marijuana in western Pennsylvania is the first with state approval to begin operating. Democratic Gov. 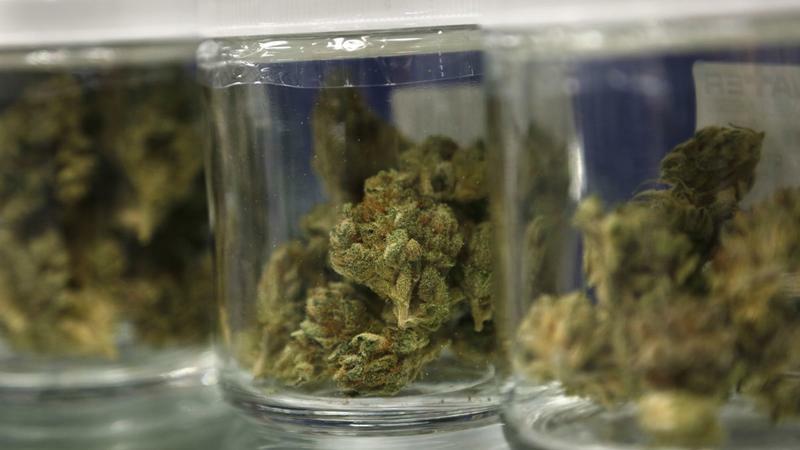 Tom Wolf's administration said Tuesday that the Department of Health has approved Cresco Yeltrah to begin growing and processing medical marijuana at its Jefferson County location. That makes it the first facility to be deemed fully operational in Pennsylvania's medical marijuana program. The department expects 11 other licensed grower-processors to be operational. It issued the permits in June, selecting the 12 winners from among 177 applicants. The department has also issued permits to 27 entities to operate retail dispensaries. It expects medical marijuana to be available to consumers next year. Wolf signed Pennsylvania's medical marijuana program into law last year. A ceremonial groundbreaking took place Thursday afternoon for a medical cannabis growing and processing facility coming to McKeesport. For several months, the state Health Department has been refusing to disclose who is on the panels that scored applications for medical marijuana licenses. But now, the Department of Open Records is ordering the agency to release the information. The Open Records decision comes after protracted back-and-forth between the DOH and PennLive. After releasing permits to grow, process and sell medical marijuana to select applicants, the department wouldn’t name the panelists who had made those decisions.